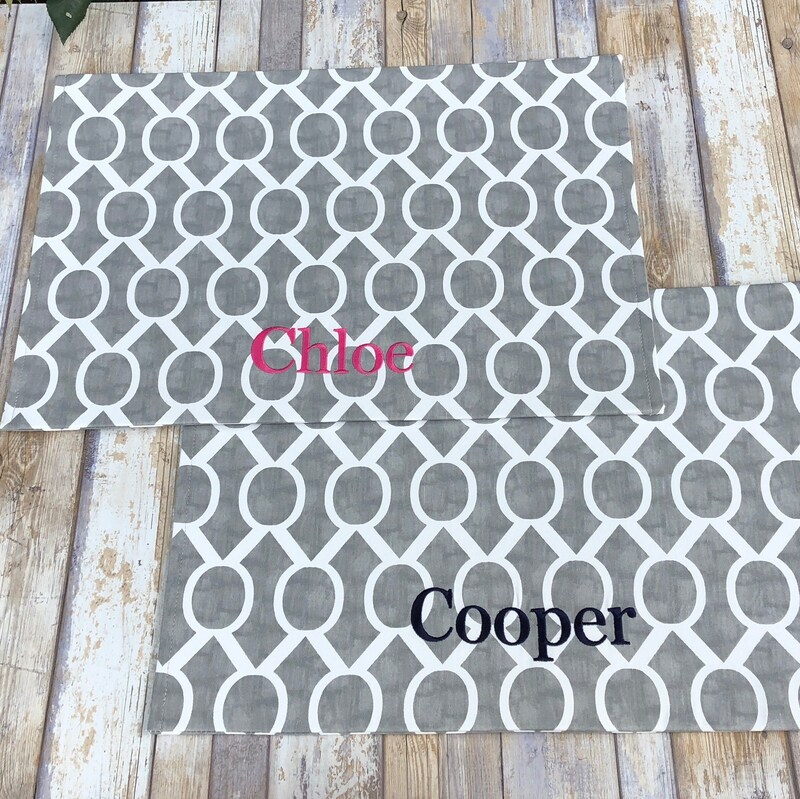 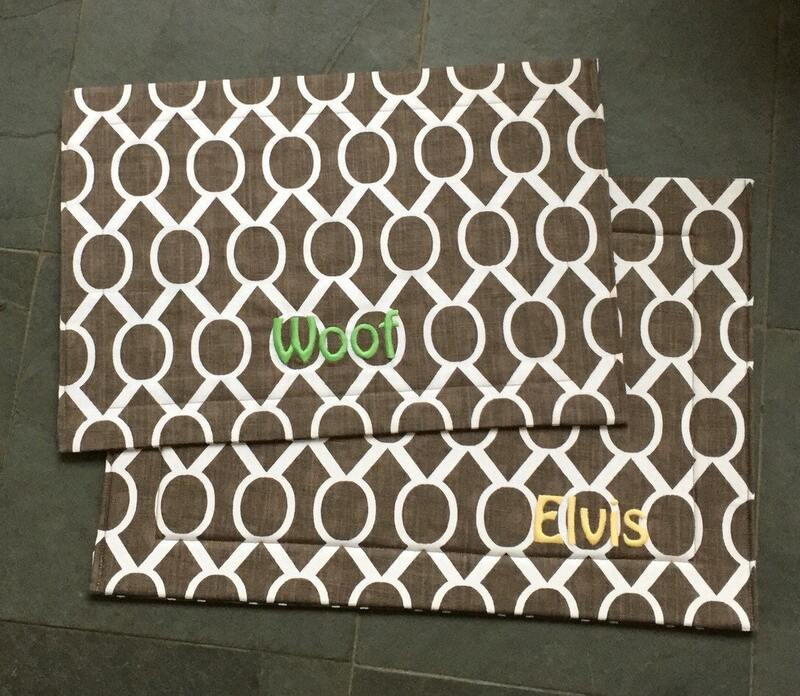 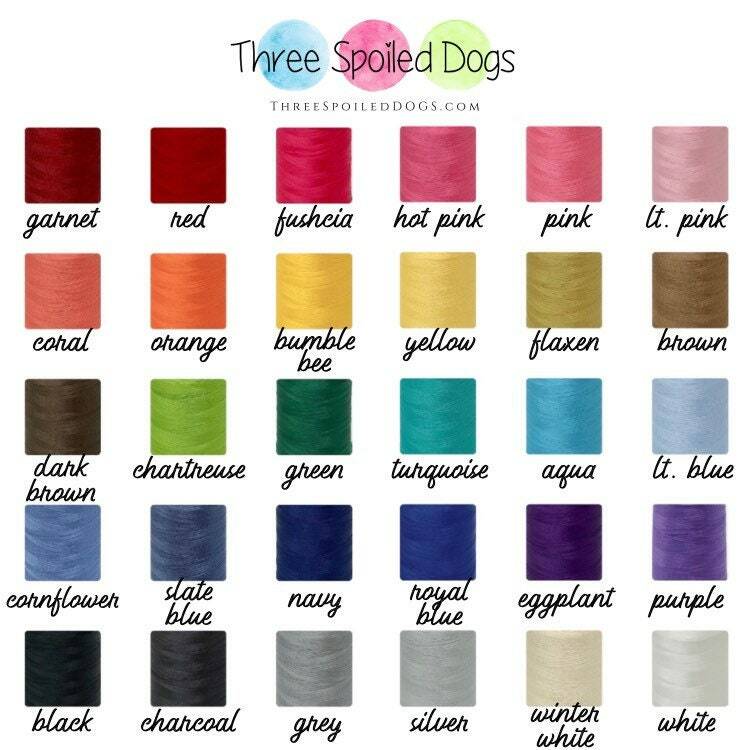 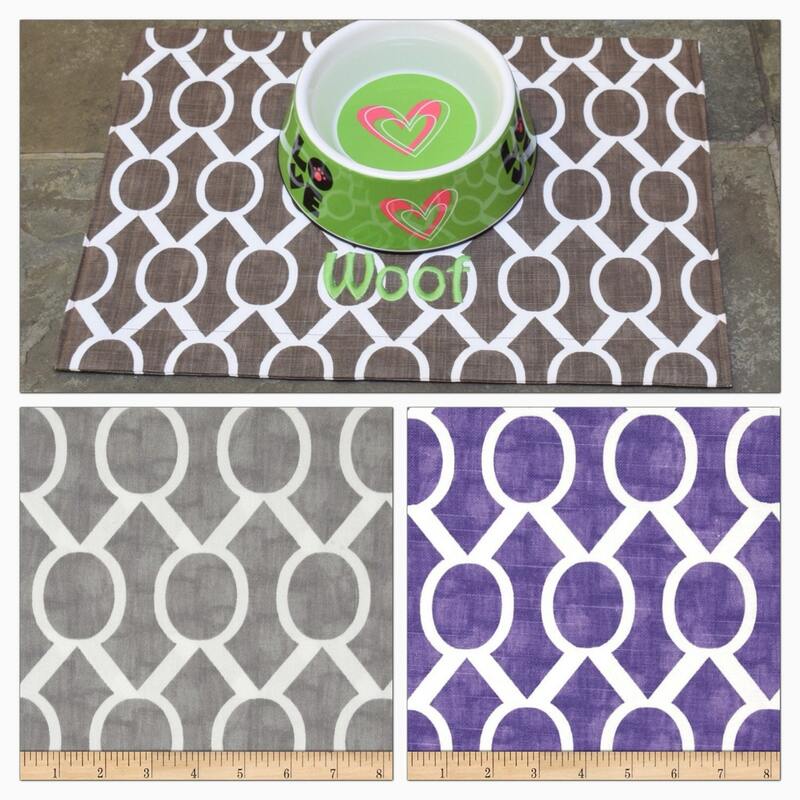 Personalized Pet Placemat for your Dogs Food + Water Bowls - 💫 This beautiful geometric fabric comes in 3 colors; grey, brown & purple. 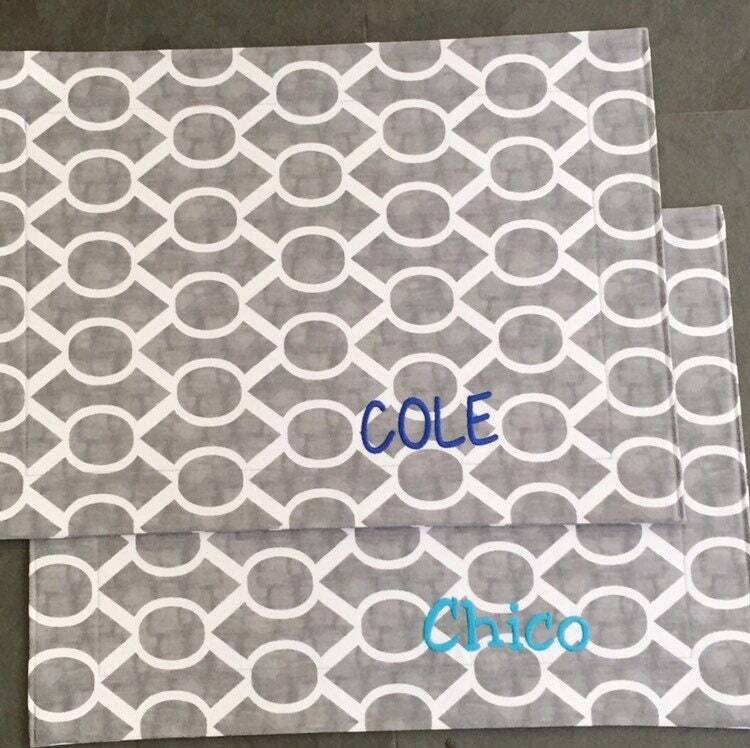 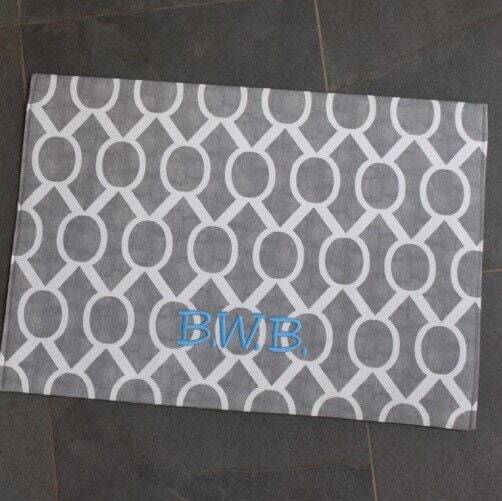 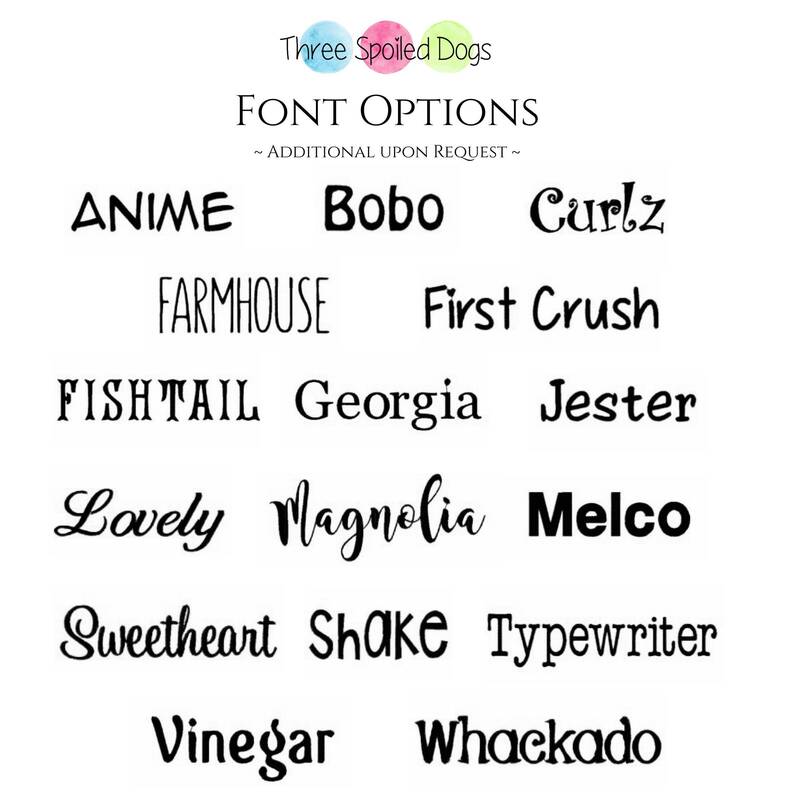 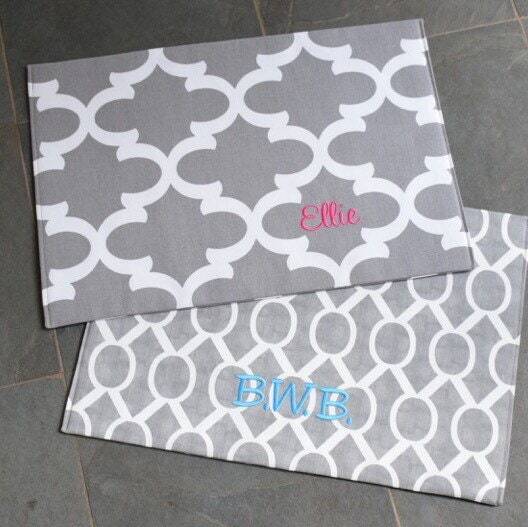 💫 TSD Personalized Food + Water Dog Bowl Placemats help keep your floor clean from pet food and water, as well as add a splash of color and style where their water stays. 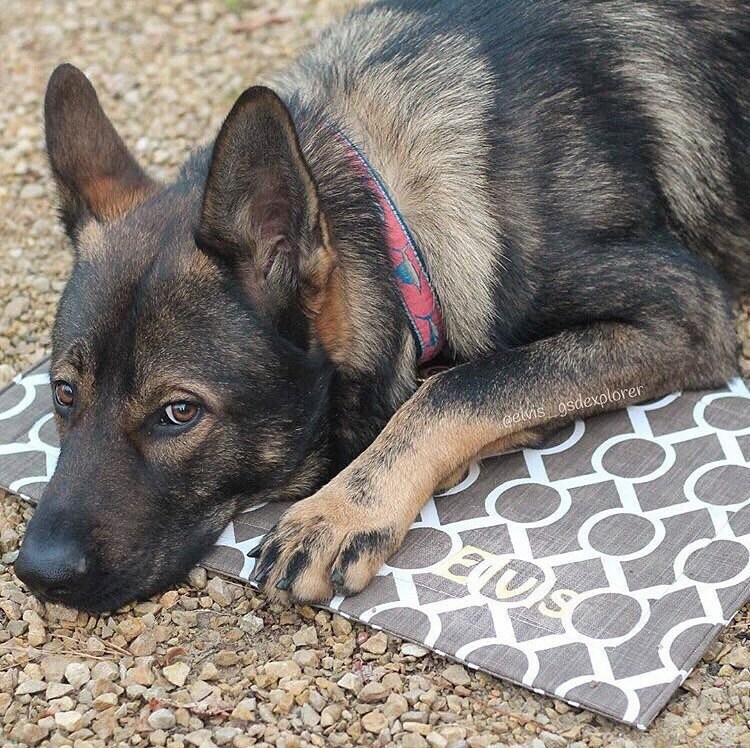 Our placemats are lined with an ultra firm stabilizer for substance and durability.